Explore our fantastic collection of Children's and Cartoon Limited Edition Prints here. This is a Signed Limited Edition Print by the artist Chris Morgan.330mm x 508mmLimited Edi.. This is a Signed Limited Edition Print by the artist Chris Morgan.394mm x 508mmLimited Edi.. This is a Signed Limited Edition Print by the artist Chris Morgan.330mm x 483mmLimited Edi.. This is a Signed Limited Edition Print by the artist Chris Morgan.457mm x 711mmLimited Edi.. This is a Signed Limited Edition Print by the artist Chris Morgan.508mm x 394mmLimited Edi.. This is a Signed Limited Edition Print by Brian Paterson.305mm x 381mmEdition of 195.. This is a Signed Limited Edition Print by Brian Paterson.381mm x 305mmEdition of 195.. This is a Signed Limited Edition Giclee Print by the artist Dale Bowen.510mm x 760mmEditio.. This is a Signed Limited Edition Giclee Print by the artist Dale Bowen.510mm x 510mmEditio.. This is a Signed Limited Edition Giclee Print by the artist Dale Bowen.Image size 510mm x 510m.. This is a Signed Limited Edition Giclee Print by the artist Dale Bowen.Image size 460mm x 610m.. 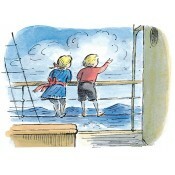 This is a Limited Edition Giclee Print by the artist Edward Ardizzone140mm x 240mmEdition .. This is a Limited Edition Giclee Print by the artist Edward Ardizzone220mm x 450mmEdition .. This is a Limited Edition Giclee Print by the artist Edward Ardizzone110mm x 570mmEdition ..